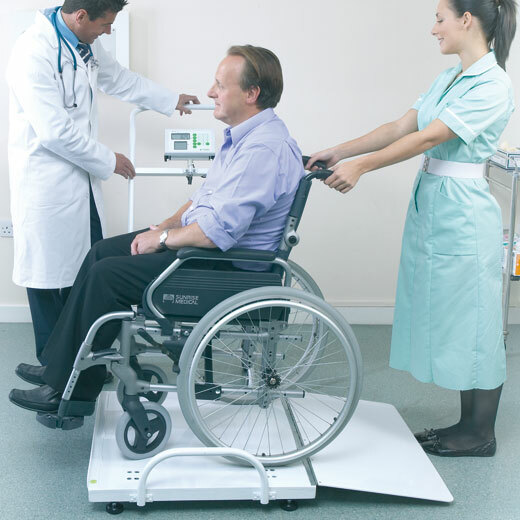 Wheelchair Weighing Scales with BMI Function. Marsden is a name that is synonymous with quality scales, and has been since the British company was set up in 1926. They've come a long way, but their products are still good enough to speak for themselves. 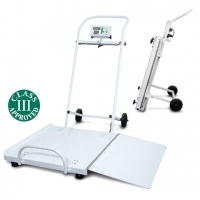 Take these wheelchair weighing scales with BMI, for example. 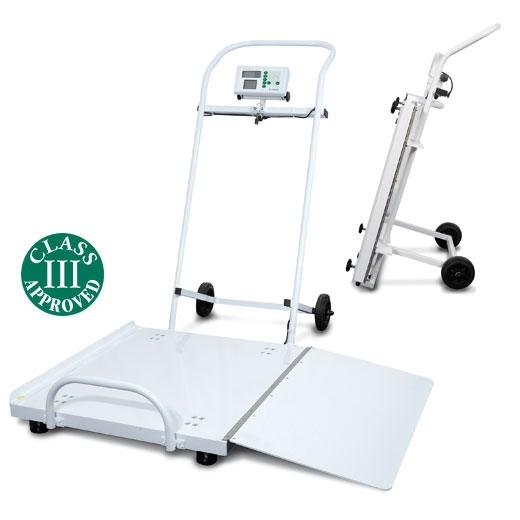 A real quality set of scales that can be used to weigh even the heaviest users, due to their solid construction and high capacity. 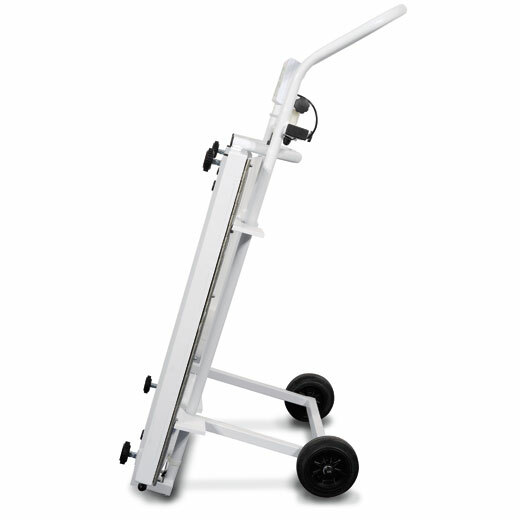 Designed for wheelchair users, this product has a lower profile platform with roll on/roll off for easy and convenient access. And speaking of convenient, it's possible to fold away these scales to save space when not in use. 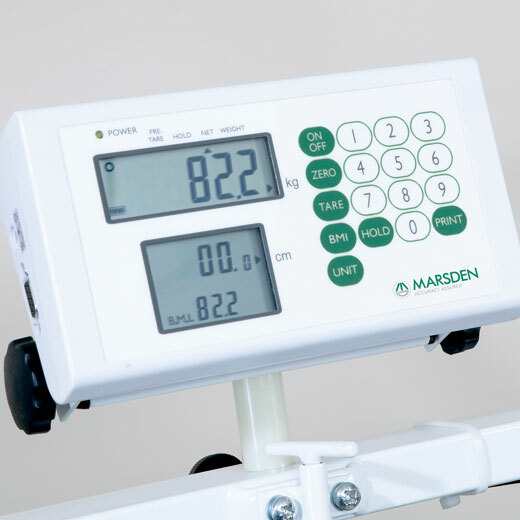 With all the other usual features that you'd expect from a high quality product from Marsden - like BMI measurement capability, Hold feature, Digital Tare and a reliable internal rechargeable battery (meaning mains or battery operation possible), this one is another winner.